What to do after college can be a daunting challenge for many graduates. Grads are faced with many major life decisions, like where they will land a job and what city they want to live in. 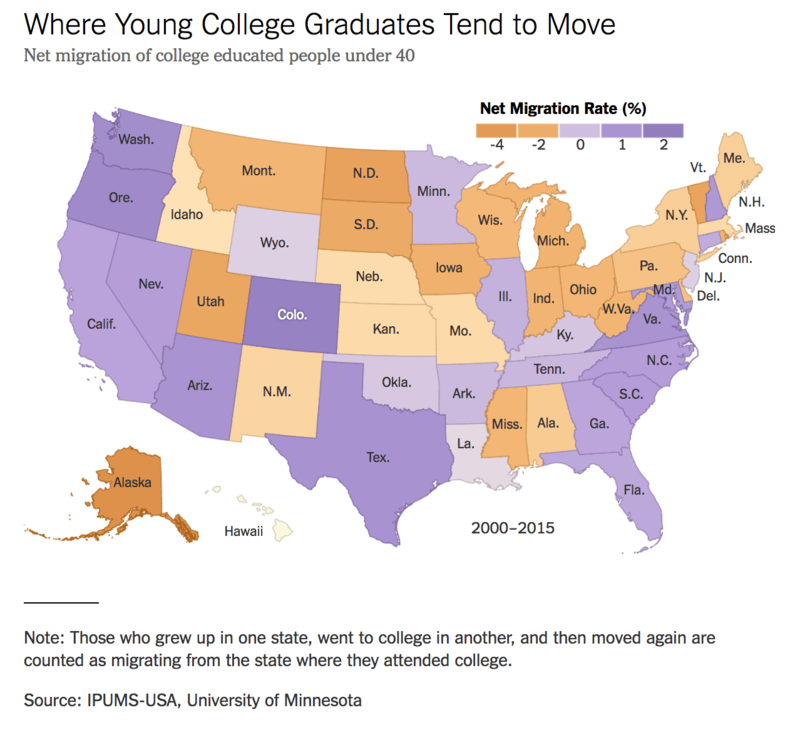 In a recent study, The New York Times found many young people with college degrees — are leaving struggling regions of America for cities, specifically for cities in Southern and coastal states. And despite fitting both of those attributes, Alabama is actually losing college-educated workers to other nearby states. In the regional competition for the most skilled and most mobile workers in America, Alabama appears to be at a disadvantage leaving the local economy struggling to find skilled workers. Which is precisely why the state recently launched AlabamaWorks — an effort to transform the state’s workforce development efforts into one unified system, seamlessly linking employers looking for skilled workers with Alabamians seeking jobs or job training. “Keeping young college graduates would help alleviate the effects of globalization and technological change on these local economies,” said the Times.